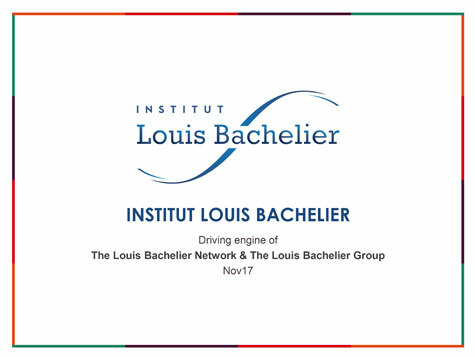 The Institut Louis Bachelier offers a range of services to accelerate the implementation of research programmes. From the identification of teams through to taking care of the financing process through the two foundations of recognized public utility and Crédit d’Impôt Recherche approved – the Risk Foundation and Europlace Institute of Finance ¬– the Institut Louis Bachelier facilitates access to research for companies. The professionals and authorities involved are inspired by the findings of academic research and have at their disposal a genuine observatory on current research. A unique site to facilitate the creation of Research Chairs. Identification of the most qualified research teams to carry out work on topics chosen by the company. The flexibility to allow several French or foreign academic institutions to be brought together within the same programme. Monitoring of academic work by governance bodies. Assistance in drawing up research programme contracts. Accounting, budget and human resources management. Making available work space and a meeting room.